We invite you to be a member to enjoy group touch experiences, meet other like-minded men and be part of Discussions about our challenges, hopes and joys of being men who enjoy men. Playa Zipolite is clothing-optional beach town and very gay-friendly! 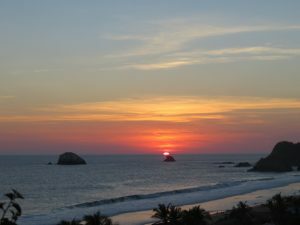 A one-hour drive from the nearest airport in Huatulco – There are some non- stop flights from the southern U.S. Cities to Huatulco. Flight to and from Huatulco Airport and transfers not included. $1,250 Package: Earlybird Special on NOW! Sign up early and get the discounted price on package! This entry was posted on Thursday, March 18th, 2010 at 5:37 am	and is filed under carousel, Community & News. You can follow any responses to this entry through the RSS 2.0 feed.